"Host 'myhost.com' is blocked because of many connection errors; unblock with 'mysqladmin flush-hosts'"
Issuing the command would be the next measure and even applying brute force a script doing this every so often. Wait a minute we know better. There must be an (intentionally or not) attack. This is a problem as all it does is opening a socket and then dropping the connection without any SQL handshaking. I have explained before how to get SFTP working using OpenSSH. echo "Usage - $0 user password"
As I showed for Excel we can create a custom View to render tabular data in CSV format instead. Note that this example uses Spring and a ControllerContext class that I use to pass information about different layers (Context-Object pattern). You can of course get the fundamental idea in case you do not use a ControllerContext in your design. Why Excel is not suitable as expected response type (ERT) for all possible BHUB methods is obviously a consequence of the fact that websites render hierarchical data and not just tabular data. When Excel is needed to present some tabular data like for example when too many columns are to be presented then I provide a specific controller to manage the rendering. One could argue that with so many DHTML data grids components it should not be a big deal to still use HTML instead of Excel and I agree that is the case especially when a front end developer is on board. Still even the best grid component out there will not allow for real post processing, multiple sheets, formulas: Excel sometimes is simply "the tool". Undeploying the whole exploded war from tomcat and then redeploying it back fixed the issue. To undeploy just delete the whole exploded directory from "webapps" folder. IE6 has a limitation on how long the query string can be so use POST instead of GET (for debugging purposes GET is good) in your production systems. IE6 is less forgiven than other browsers (which in my opinion is not exactly wrong) so pay attention to the correctness of the document. Always use a validator for your markup. And I have to say it again and again, if you can afford it make sure you have a dedicated developer for front end. There is simply too much to hack, fragmentation keeps on being an issue and there is no solver bullet. I still do not understand why I need to be writing about Internet Explorer version 6 in almost year 2011. It reminds me some dictatorships in the world: everybody knows it is evil, do not work fine, it is a waste of time, it is *not* efficient, and the list goes on. Still like some dictatorship for some reason millions of people still want to live oppressed apparently (read: use a FREE mozilla browser, FREE Chrome, FREE Opera). Life is complicated and I cannot propose to ban IE6 as that will make me a dictator. Developers are like doctors: no matter what the person is the doctor must save that life. We as developers must fix IE6 issues to save IE6 slaves. Hopefully this will explain why that form of yours sometimes submits and sometimes simply it does not. As I have to do this every so often I rather document it instead of copying and pasting emails (DRY). Open the VNC client from a different machine (In OSX use "Chicken of the VNC". In Windows use RealVNC). Use the provided the IP. If the port is not 5900 and the display is not 0 then use "ip:port+display"
Most of the time firewall rules are responsible for problems so be sure you have port 5900 accessible in your server side. You can configure a different port from the Preferences window of Vine. Share that port with the client. If you use a different than 0 display share it as well with the client. It came to my attention a google search for "monit: action failed -- There is no service by that name" did not return any hits. At list in RHEL 5.5 (Tikanga) if you add new lines to monitrc you have to stop monit. In my case monit runs in inittab and so all I did was kill monit process. Google RSS Reader Notifier (RNotifier) allows you to receive notifications about unread RSS feeds configured in Google reader (Please note you must provide the complete email address and not just the user Id) and password to get notified. * It checks Google reader feeds every 5 minutes. * Just click the alert and land in Google reader mobile. * Once installed it will start automatically every time you restart your phone. * To stop checking for news just leave email and password empty. Go to Google market and download Google RSS Reader Notifier or if navigating this page from your android device click here for a list of my applications. Then select from there. Use this page for support, questions, enhancements and feature requests. Post any issues here or drop me an email. I will be glad to help making this application better. * If the application does not work as expected please check you actually have unread feeds in your Google Reader web interface from a Desktop/Laptop computer. Then be sure you have configured your correct email and password. * If you suspect RNotifier is responsible for any performance issues you can install "TaskPanel" and kill "RNotifier". * If you find out any problems (bugs) please install "Log Collector" and send me the content by email. If there is enough demand I will make it available to the IPhone community as well. So drop me an email if interested. I forgot liferay admin password for a brand new production configuration. That is not big deal if the server has accessible SMTP but in my case the hosting provider hadn't enabled it so I knew my only option was to touch the database directly. Hotmail Email Notifier (HNotifier) allows you to configure a hotmail/live email (Please note you must provide the complete email address and not just the user Id) and password to get notified about new and unread emails. * It checks Hotmail every 5 minutes. * Just click the alert and land in hotmail mobile to check, reply or send new emails. * To stop checking emails just leave email and password empty. * It won’t bother you with the same unread emails alert if you do not perform any actions after clicking the alert and no new emails are received. * If the application does not work as expected please check you actually have unread emails in your hotmail web interface from a Desktop/Laptop computer. Then be sure you have configured your correct email and password. * If you suspect HNotifier is responsible for any performance issues you can install "TaskPanel" and kill "YNotifier". At the moment I am not supporting the new security changes Microsoft has added to Hotmail. You can change the settings though. Just go to https://account.live.com/ManageSSL and deactivate SSL from there. * Click the alert and land in hotmail email mobile. * Automatically restarts every time you turn on your phone. Here is the task: Extract from a PDF those pages bookmarked as "you name it" in a new file keeping the original bookmarks related to the extracted pages. 2. Extract the content and execute run-console command (x permission is needed in unix/linux/osx). 5. In my case I had to rebuild the project from the sources as the resulting jar file (pdfsam-console-2.3.0e.jar) failed to correctly merge the files back. Basically files were containing first level bookmarks, all pointing to page 1. Below are the changes I did to the project so I could build it. I had this task assigned today and I thought about documenting where I found the pieces of the puzzle. Of course we are talking about Windows OS here and so it makes sense to use just the Task Scheduler to set when the script should be run. There is an excellent post that helped me start building the script. The only thing I added to it is the possibility to accept parameters that are injected into an Excel Subroutine that accepts parameters. As Excel will not show such subroutine as a valid macro if you want to call it from inside Excel you will need to use a non parametrized Sub that calls with test parameters the first one.
' 3. Extra parameters to be accepted by the Macro procedure. Wscript.Echo "Runexcel.vbs - Required Parameter missing"
strMacroParams = strMacroParams & " ,""" & Wscript.Arguments(i)    & """"
' Error occurred - just close it down. StrPathNameNew = replace(ucase(strWorkerWB),".XLS","") & optionalToken & "_" & year(Date()) & right("0" & month(date()),2) & right("0" & day(date()),2) & "_" & right("0" & hour(now()),2) & right("0" & minute(now()),2) & right("0" & second(now()),2) & ".XLS"
C:\>"c:\RunExcel.vbs" "c:\myExcelWithMacro.xls" "RunMacroFromParameters" "Fort Lauderdale" "8/1/2010" "10"
Note that the script is generic enough to allow for automation of any Excel Macro whether it expects parameters or not. BTW the file is opened readonly as a new file is created everytime the script is run. There are so many ways you can integrate LDAP with Liferay that I think a whole book could be filled with examples. Clearly this is a consequence of the many different scenarios you might face in your company. 3. ApacheDS is accessible from Liferay 5.2.3 LDAP implementation following the below user stories. I have documented already the ApacheDS setup. Of you have not setup ApacheDS read here. I have also documented on the same link how to get Spring security working with ApacheDS. 3. When a user is detached from a group/role in LDAP, Then after user login the user-group association will be removed. The above guarrantees that we can handle the setup of users for both applications (Portlets and Servlets applications) in just one LDAP server. I thought this was going to be an easy plumbing but it turned to be not that easy. I posted the issue and continued investigating to arrive to the following solution. 3. I have added then an extra attribute to users (ou) which basically closes a cyclic reference between users and groups. 4. 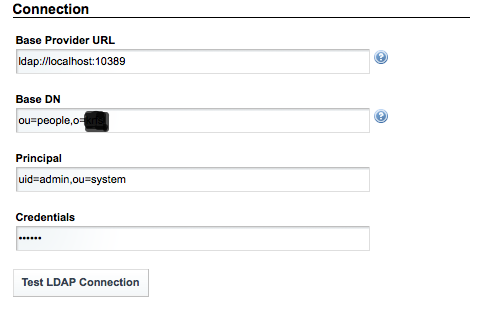 See below for the configuration in liferay. Note that I do not include the groups section as in Liferay you must decide either to import users or groups. If you import groups you will not be able to login in version 5.2.3 as I posted in the issues link. I do not show the import/export section as I do not import nor export users and roles. As said before this showcase is precisely about leaving those tasks to LDAP alone. Performance wise this is a good decision BTW. 5. Of course we need to build an application that handles this cyclical reference. ETL is used for Operational Data Stores, Data Warehouse and Data Mart. ETL tools can also be handy for simple importing into existing application databases as well. Importing data into your application is as important as reporting out of your application. Importing can be achieved while distributing the workload through several people. On one end you want a BA to decide when to run an import process, which components to assembly, which data sources to use, the mappings. There is an existing model, datasources representing feeds that need to get to your model and a mapping to make that transformation happen. ETL processes are commonly used for this task. You can do something as simple as manual SQL scripting, something more elaborated using a Rules Engine or even more polished like using an ETL tool. Construct a Business model with a graphical interface that allows BA to drop the general blocks for example an Excel source file to be used in conjunction with a web service output to fill out records in an existing database. Design a Job to implement the business model blocks. 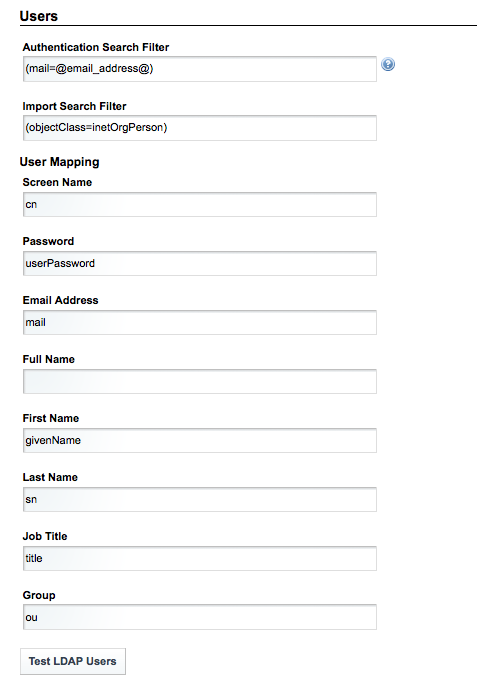 This tutorial is about designing a Job with Talend/Jasper ETL. I am not interested here in covering points 1 and 3 as they are really not needed for our task: Importing data from Excel into an application database. After Talend is done updating the project close it. Note: Even if no changes are made after closing the IDE you will get differences in some projects files. It is good idea to always update from svn before starting to work on a project as other developers might commit their local project files to the repository. Let us review in detail what I have done in this simple project. We want to import employees from an existing Excel spreadsheet into our new database. Start the program (If using Windows XP use the executable, for example TalendOpenStudio-win32-x86.exe. The Eclipse -wpf- version flicks).Set up a connection. Click on the button near “Repository” (In Talend is “Email” button), provide your email (this will end up stamped in many files from now on so use a real personal or work email). For the workspace folder use a common folder that other users can later use as well in their own machines for example “C:\projects\talend”. You will need to hit “restart” if using Talend and changing the workspace. Select “Create a new Local project” from “Project” section and click on “Go”. Use as project name “DbImport” and as language generation “Java”. Pick the new project from the last dropdown. Click on “Open”. After you close the welcome windows you should see the “Window|Perspective|Design Workspace”. Right click on Job Designs on the left and create the first Job called “PopulateLookup” with Purpose “Import from Excel to lookup MySQL tables”. This is a job that will populate department and office tables. We need office_id and department_id for the employee table, that is why we must be sure the department and office exist in the DB before. On the repository View (left panel by default) right click on Metadata/Db Connection and create a MySQL connection to the database containing the tables employee, department and office tables. Right click on the connection and “retrieve schema” for the three tables. Create an Excel file named c:\projects\DbImport\employees.xls containing the data in the appendix. Drag and drop a tMap component from the palette “Processing” section. Right click on the employee inner square (you must select the inner square otherwise the option will not be available) and select “Row|Main” a line will be started and will end wherever you click as final destination component. In this case click on the tMap component. Right click on tMap, select “Row|New Output” and drop the line into department and name it outputDepartment. Do the same for Office. When prompted to get the schema from the target respond yes as that helps to see the available destination fields. Run the Job from the Run tab. If there are problems the specific component will be red and double clicking on it will show up a description of the problem. You might notice that is the situation as we have specified office_name instead of just name as the destination field in the tMap, so correct that and rerun. Open the tMap and in the input panel drag and drop the inputOffice.name to inputEmployee.office_name and inputDepartment.name to inputEmployee.department_name. Here you are defining the necessary joins from input sources. 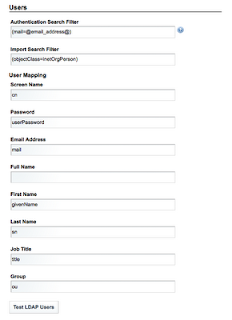 Drag and drop inputOffice.id, inputDepartment.id, inputEmployee.first_name and inputEmployee.last_name into the output panel left colum right next to the destination field. Right click on the first and select “Row|Main”. Drop the line into the second sub job. Cleanup the records from the database so you can see all recreated. Run “populateAll” job and your data will be in the destination. 1. To export: Right click on “Business Models” and export “all” to the root folder (in our case C:\projects\) that is shared let us say on a subversion repository. This will create/update “c:\projects\DbImport”. Now you can share that on SVN. 2. To import: Checkout from SVN. Go to Talend and import. Unfortunately SVN support is not included in the IDE. Following some steps though you can still share the project. Create “DbImport” project as explained before. Create a new local “DbImport” project. Close the IDE. Outside the workspace folder checkout “DbImport” from SVN. Replace the content of the workspace “DbImport” directory with the checked from SVN files. Open the IDE and modify the project as you wish. Close the IDE and use svn update and/or commit commands as you need.